One of the reasons I love sharing my favorite podcasts with you all is because in return I get a million suggestions on what I should listen to next. While I do consider myself a podcast aficionado (;)), I definitely am not aware of ALL the amazing shows out there. That’s where all of you come in to enlighten me. My podcast subscriptions are pretty varied (I have over 50! And yes, I regularly keep up with every one.) but I can say they fall into a few basic categories: comedy/pop culture (like Nerdist, You Made It Weird, etc. ), story form (like This American Life, TEDTalks, The Moth, etc. ), crime (like Criminal, Undisclosed, etc. ), health and fitness (The Jillian Michaels Show, The Model Health Show, The Health Beet, etc.) and mental health/body image (Finding Our Hunger, Mind Body Musings, Food Psych, etc.). I listen to some for entertainment, some for information, and others for inspiration and advice. The 4 shows I have to share with you today definitely fall into the latter category. These four podcasts are all food or body image focused in some way and I can honestly say they are helping me heal and grow my relationship with these two concepts. 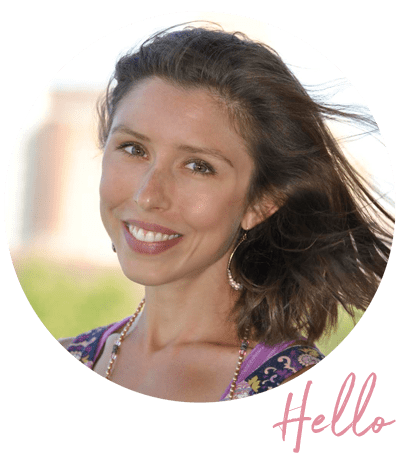 Given my love of podcasts like Mind Body Musings, Finding Our Hunger, and The Wellness Wonderland, I can’t believe it’s taken me so long to come across Summer Innanen’s Fearless Rebelle Radio. Summer is a badass nutritionist who is a self-proclaimed diet rebel and food lover. She is on a mission to help people break their food rules, leave behind the dogmatic chains of diet culture, and empower themselves to live fearlessly. Every episode she shares advice on how to build your confidence, revel in your individuality, and feel AMAZING in your body. Some episodes are just one on one with Summer and others she interviews people who she considers to be Fearless Rebelles in their own right. The advice Summer gives out is practical, easy to implement, and can really help transform your life from one of negativity and pessimism to one that truly embraces all that is out there for you! The Psychology of Food Podcast is put on by the Institute for the Psychology of Eating, the world’s leading school in nutrition psychology. The show delves into helping people discover the true causes of their unwanted eating concerns, like overeating, binge eating, emotional eating, body image concerns, endless dieting, the inability to lose weight, digestion, fatigue and more. There are two different formats to the episodes: the ones with Marc are frank, unscripted, hour-long sessions with real clients where he coaches them through their current eating struggles and the ones with Emily explore food psychology concepts, mind-body connections, and weekly tips to inspire your own transformation. Marc shares real breakthroughs right on the air and Emily helps listeners on their own journey with understanding their relationship with food. Each episode is absolutely compelling and introduces new ideas and ways of thinking surrounding food that I would have never considered before. Before this podcast, I was unaware that ‘food psychology’ was a real field of study. Now, it’s something that I’d potentially like to get into myself! A podcast about food blogging? You might be thinking “how could this be life changing?”….but for me it really has been. CHOPPED is hosted by Marly McMilen who runs a successful food blog of her own and the insights she shares through her interviews with other food bloggers have really helped me with my own blog. She interviews a wide range of bloggers, from big to small and all levels of success, and covers a myriad of different topics including: monetization, marketing strategies, food photography, online business skills, work-life balance, social media tips, and unique ways to differentiate your blog from the rest of the market. The food blogging community is over-saturated at this point, but the advice that Marly is putting out there really has the potential to make a difference on your own site. It definitely has with mine! If you have a blog, or are thinking of starting one, this podcast will rock your world. Have you listened to any of these podcasts before? What type of podcasts are you most drawn to usually? Do you prefer music, podcasts, or audiobooks for your in-ear entertainment? I’ve listened to a few of the Fearless Rebelle Radio and love love love. I love to listen to podcasts at work (I’m a dishwasher). Makes time go by so quick! I also love to listen to them when doing cardio at the gym or just walking around! My faves lately are One Part Podcast, Jess Lively Show, and Food Blogger Pro Podcast. So excited to listen to all these ones you shared! Especially the chopped one!! Oh I love new podcast recommendations!! Can’t wait to check those out! Thank you!! I have given up regualr TV since all the serial shows are too predicatble. I have taken to Netflix and podcasts. I am adding these to my links! Love netflix for finding new shows! Check out LOST, Dexter, and Sons of Anarchy if you haven’t already! Also their netflix originals are AWESOME!!! I’ve been meaning to check out evil sugar radio! I love the Lift Like A Girl and Rich Roll podcast… have gleaned SO much out of them. I’ve been really enjoying Rich Roll too! Great for long runs since they are like 1.5-2 hours LOL! Thanks so much Natalie!! I knew I liked you ;)….podcast lovers unite! I haven’t listened to any of these… but will likely give them a try today at work!! I’ve been listening to Food Blogger Pro lately from Bjork from Pinch of Yum. Oh I haven’t listened to that one yet but Bjork has been on the Chopped podcast! I will have to check it out!! These sound great! Thanks for sharing at My Flagstaff Home! I’ll definitely check that out! Thanks for sharing! Love podcasts! They’re great for long cardio sessions and when I take my dog for a walk. Also… podcasts are a savior for flights! I’ll have to check these four out ASAP. I agree! Podcasts < music anyday! Oh I’ll have to check that out! I have been loving blogging podcasts lately! Hmm… That Chopped one is especially piquing my interest. 🙂 Thanks for sharing these at Savoring Saturdays! Oh you would LOVE that one!! I have recently started listening to podcasts to keep me from watching too much tv. I love that I now have some new ones to try out! Thanks for sharing with Saucy Saturdays. I know everyone will love the evilsugarradio one. I think you might have mentioned the chopped one to me before so I need to start listening to it! OMG I LOVE Evil Sugar Radio! Do you listen to it?! So epic. I love their take on the health, diet, and fitness industry! I am going to check these all out! I’ve become a big fan of podcasts and am always looking for new recommendations! Visiting as a guest cohost from Turn It Up Tuesday! Thanks for these podcasts…I listen to Jillian Michaels and The Model Health Show with Shaun Stevenson. I like both of those, but am always looking for others. Love both of those shows! We listen to some of the same podcasts! I’m a huge fan of Fearless Rebelle Radio and Finding Our Hunger. I’ve never listened to Chopped so definitely going to check that out today. Thanks for the recommendations! No problem! Enjoy the new shows! No problem! Thanks for hosting! I’ve just gotten into podcasts myself. I knew about Chopped and love it so I’m sure I’ll like the others as well. Thanks for sharing! Thanks Hakim! I love all of those too!